Super easy recipe to the rescue! For a long time, we have kept some of this Bisquick-type mix in the fridge. It’s really great for when you want something and don’t want to spend a long time in the kitchen measuring out ingredients. Well, today, we wanted biscuits. 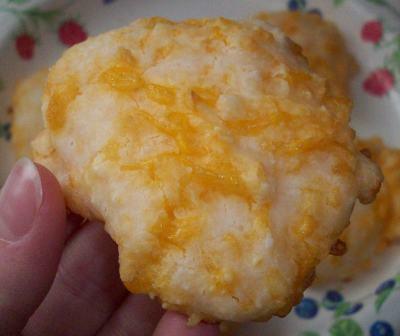 Maybe it was looking at Carrie’s cheese biscuits that did it. Whatever it was, I was grateful that I had this in the fridge and it took so little to prepare it. 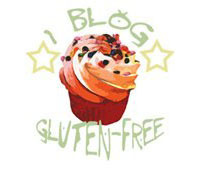 These recipes come to us from Mireille at the Delphi On-line Celiac Support Group. 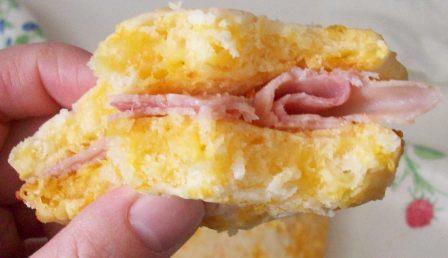 First you need the bisquick mix, then you can make the biscuits (or tons of other stuff – just look up bisquick recipes and replace this for the gluten kind). I like to triple this recipe, so I have a lot available to me. No, it does not have xanthan in it. For the few things I have used it for, it is not needed. 1 c. less 1 Tbs shortening. In a large bowl, wisk together all dry ingredients. Cut in the shortening until no lumps appear. Store in the fridge or freezer because of buttermilk powder. The Bisquick mix is adapted from Bette Hagman’s. 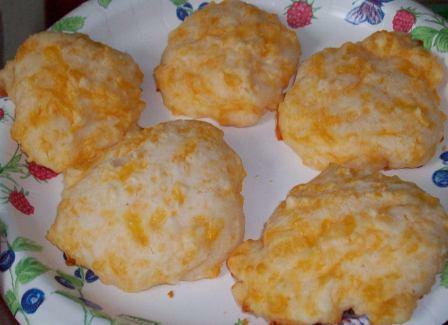 Combine bisquick mix and cheese (you can do this with a fork). Add water. Bake in a preheated 375° oven for 10 to 12 minutes. For an extra kick, brush on a butter topping. Use 1/2 cup of melted butter mixed with 1 teaspoon garlic powder, 1 teaspoon parsley flakes, and 1 teaspoon Italian seasoning. 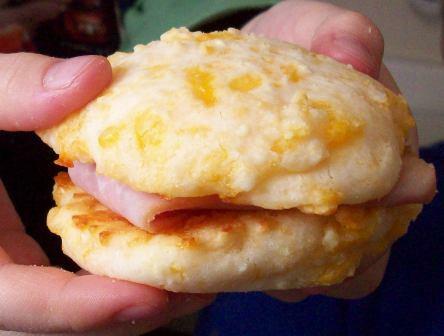 We often make sandwiches out of these biscuits. 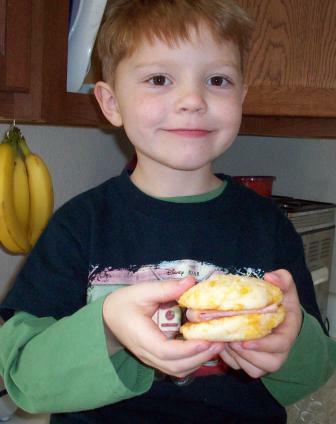 A couple of slices of lunch meat ham or turkey between two of these biscuits is a great sandwich!! Good to see some pictures. I was starting to wonder if your camera was broken. Now, how much garlic do you need to add so that you have garlic cheese biscuits? Mmmmmm…. garlic…. It wasn’t the camera that was broken – it was my ability to be in the kitchen that was broken, lol. As for the garlic, I’d say try one clove (or the equivalent of powdered). Unfortunately, garlic is not currently part of menu (but give me a few months). I can’t eat potato starch, what is the best substitute? I would suggest corn starch.